I have a Raspberry Pi and a HC-SR04 integrated circuit for measuring distance. 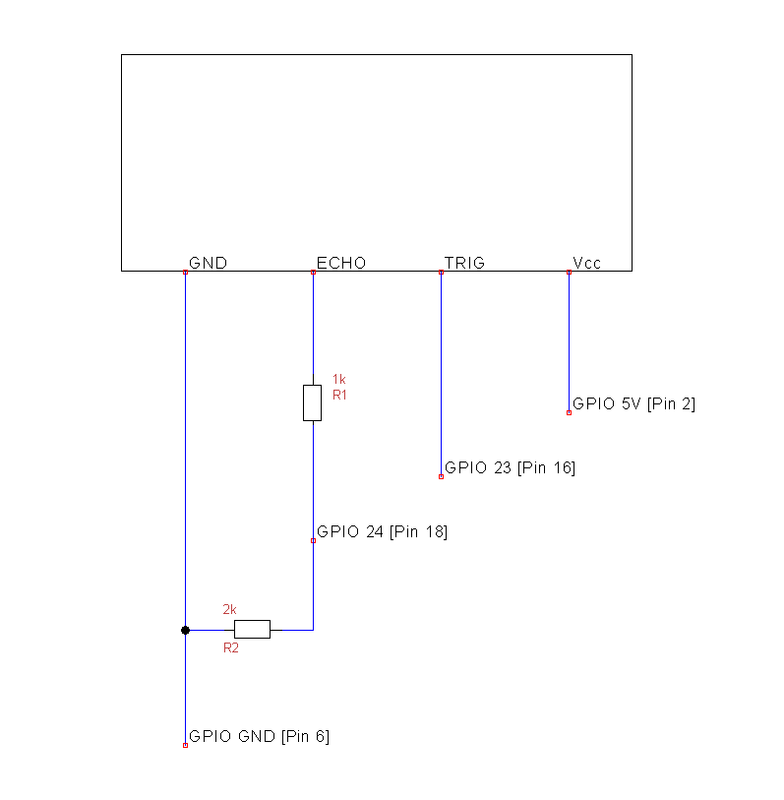 I have found many resources for how to connect the HC-SR04 to the GPIO of the Raspberry Pi, but because the HC-SR04 outputs at 5V, it is necessary to use two resistors to divide the voltage and everything I've found only shows how to connect the HC-SR04 to the RPi via a breadboard. I have the necessary resistors and numerous jumper wires, I'm just not sure how to wire it all up without a breadboard. Can anyone help? Pin 8 connects to the centre of the voltage divider. See the book Raspberry Pi Computing: Ultrasonic Distance Measurement online for some extra details. Not the answer you're looking for? Browse other questions tagged gpio electronics wiring or ask your own question. How to use Slice of Pi kit for prototyping?